Rachna Arora (31) had just entered the 6th month of her pregnancy and was eager to know the major developments in her body and her baby at this time. After her physical body check-up, Rachna asked her doctor why her feet and ankles were swollen and what she could do about it. 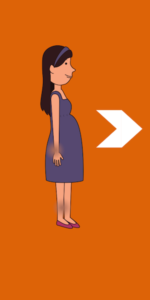 “Your body holds more fluid during pregnancy, which may result in swelling in your ankles, feet and sometimes hands,” said Dr Payal Chaudhary, Consultant Obstetrician at Sitaram Bhartia Hospital. Rachna made a mental note of the advice. She also asked about a jabbing pain she felt in her lower abdomen a few days ago. As your uterus expands to accommodate your growing baby, it puts pressure on the ligaments running from your abdomen to the pelvic region causing a dull ache around your lower abdomen. Rachna realized that this is what she was probably experiencing. Because of the pressure on your back, you may also experience frequent back pain. “You must maintain a good posture at all times to soothe those backaches and sit with proper back support,” advised Dr. Payal. Rachna was curious about her baby’s development at this time. Rapid growth in height and weight: Your baby’s organs are maturing at this point and she is gaining fat to keep warm. Formation of a waxy film: A waxy film called vernix caseosa, formed by the baby’s oil glands covers the baby’s skin to keep it supple while floating in the amniotic fluid. Rachna wanted to ensure that her baby was doing just fine and enquired about any tests she should take during this time. 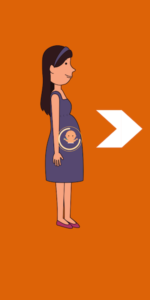 “There aren’t any special precautions you need to take in your 6th month of pregnancy. But it depends on how your pregnancy progresses,” remarked Dr. Payal. Take short naps: As the pregnancy progresses and your baby grows bigger each day, resting for one or two hours in the afternoons may be wise. Doctors may suggest sleeping on your left side to allow effective circulation of blood. Exercise regularly: It is advised to stay as active as possible throughout your pregnancy. It helps you gain the right amount of weight and deliver safely. Basic stretches and yoga will help you manage the lower back pain often experienced in pregnancy. Pelvic floor and legs strengthening exercises would help in a smooth labour and delivery. Drink water frequently: Some mothers-to-be might experience constipation throughout their pregnancy. Besides eating fibre-rich food, you can drink warm water regularly to keep constipation at bay. Eat healthy: “As long as you eat a nutritious balanced diet rich in proteins and fibres, there is no need for a special diet,” reassured Dr. Payal. Take antenatal classes: If you haven’t taken any antenatal classes till now, this would be the right time to start. It is always a good thing to be prepared. Attend Labour and Delivery Classes to know more about labour and learn techniques to manage labour pain. You can also opt for breastfeeding classes to become familiar with the process. Rachna had already enrolled in the Antenatal Classes at Sitaram Bhartia Hospital and so was more informed about the process of childbirth. It helped her relax and look forward to the delivery.